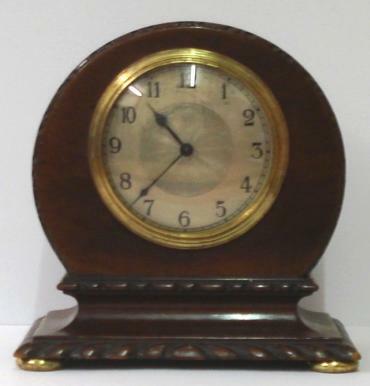 Stock Number: CLMA035 - French 8 day Mahogany Timepiece - £265. 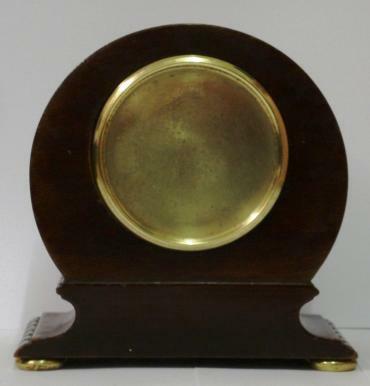 French 8 day mantel timepiece circa 1920 with round top dark mahogany case with carved plinth decoration and gilt bun feet. 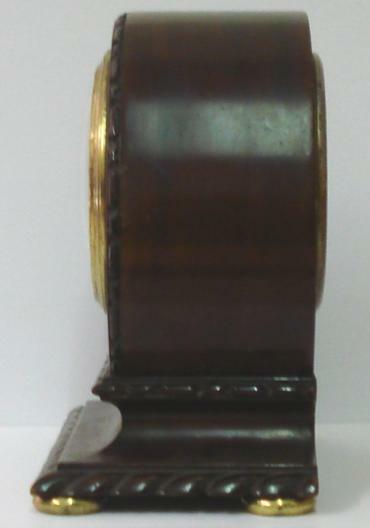 Gilt brass bezel with convex glass over a silvered dial with engine turned centre and black arabic hours and black steel hands. 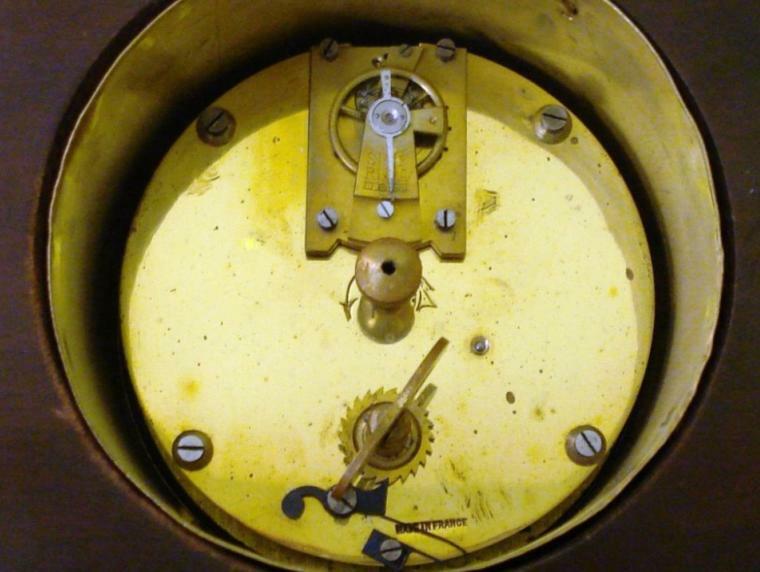 Brass drum movement with contemporary cylinder escapement platform, and stamped 'Made in France' with a captive winding key. 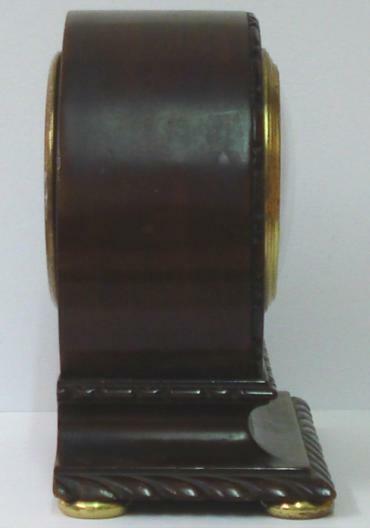 Dimensions: Height - 7", width - 6.5", depth - 3.75".